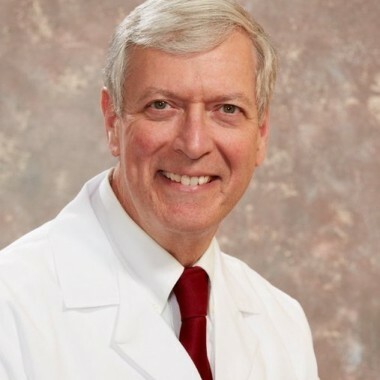 With more than 30 years of surgical experience, Dr. David M. Bowers has devoted his entire professional life to the achievement and delivery of surgical excellence. Board certified by both the American Board of Surgery and the American Board of Plastic Surgery, Dr. Bowers has had extensive training in numerous surgical procedures. Today his practice is focused on breast procedures such as augmentation, reduction, lifts, reconstruction, and revisions, as well as facelifts, mini-facelifts, eyelid surgery, and body contouring. He is pleased to be a member of Cornerstone Healthcare. Board certified in both general surgery and plastic surgery, Dr. David Bowers has been practicing for the past 28 years, providing facial surgery, breast procedures, and body contouring to hundreds of patients. He completed his undergraduate studies at Wake Forest University in 1976 where he graduated Phi Beta Kappa with Honors in English. He was awarded a Health Professions Scholarship by the United States Air Force, attended the Bowman Gray School of Medicine of Wake Forest University, and graduated in 1980. A five year residency training program in general surgery followed in Jacksonville, Florida, during which he developed an interest in the specialty of plastic surgery. Following his general surgery training, Dr. David Bowers entered the United States Air Force and was named Chief of Surgery and Chief of Hospital Services at Griffiss Air Force Base in Rome, New York. Two years later, he resumed his surgical training at Wilford Hall Medical Center in San Antonio, Texas where he completed his fellowship in plastic surgery. His training in plastic surgery also included a Hand Fellowship at the Kleinert Institute in Louisville, Kentucky. Upon completion of this training, Dr. Bowers continued his service in the United States Air Force as the Chief of Plastic Surgery at Travis Air Force Base in Fairfield, California. He entered private practice in Greensboro, N.C. in 1992. Dr. David Bowers is a published author and has maintained a keen interest in both cosmetic and reconstructive surgery throughout his career. He serves on the Board of Managers for the Surgical Center of Greensboro and is a member of the American College of Surgeons and the American Society of Plastic Surgeons. His practice, Bowers Plastic Surgery, is accepting new patients. Appointments can be made by calling 336-907-7980 or Contact Us. North Carolina Society of Plastic, Maxillofacial and Reconstructive Surgeons, Inc.